Chicago | Reuters — U.S. lean hog futures declined for the third day in a row on Wednesday as prices for pork and hogs in cash markets continued to weigh on futures, traders and analysts said. Most-active Chicago Mercantile Exchange April hogs dropped to the lowest levels in five months and its premium over the front-month February contract declined in spreading. April hog futures settled down 1.3 cents, to 59.6 cents/lb., while February eased 0.65 cent to 55.275 cents (all figures US$). In both 2017 and 2018, February hogs fetched a big premium to April, a time when more hogs typically are available than in the North American winter. But April hogs on Monday had a premium of over five cents per pound over February, before the spread corrected to about just above four cents on Thursday. 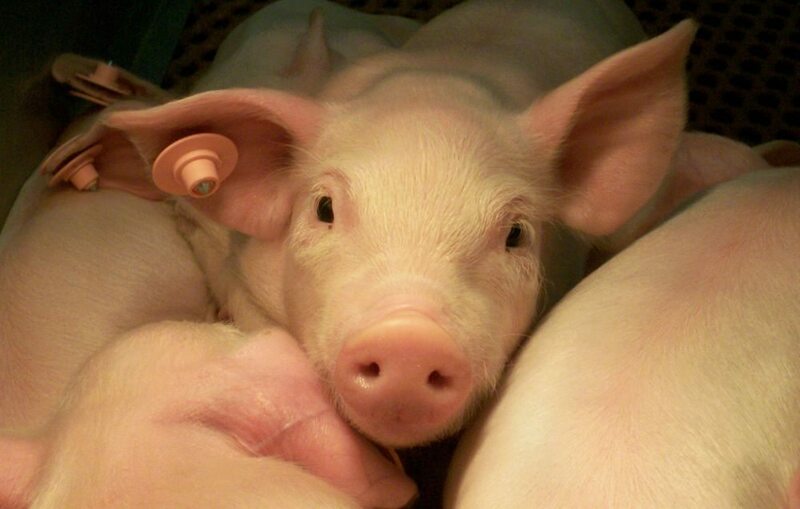 The spread in 2019 has moved in a different direction than the past few years due in part to expectations China would import more American pork as the African swine fever virus (ASF) forced Chinese hog producers to cull herds, according to Midwest Marketing Solutions analyst Brian Hoops. “We built a premium because of ASF — that we would be exporting to China,” Hoops said. However, China has bought only modest amounts of U.S. pork, forcing some traders to cut losses on their spread trades. The U.S. Department of Agriculture’s wholesale pork cutout was trading at the lowest levels since August, with ham prices of just over 44 cents per pound the lowest in over two years. Meanwhile, cash hogs in the Iowa and Minnesota market fell 84 cents to $48.63. “There’s a tremendous amount of (pork) supplies and not enough avenues to get rid of it,” Hoops added. Cattle futures were little changed. The market stayed in a relatively narrow range as traders awaited deals in cash cattle markets. CME April live cattle finished 0.325 cent lower at 127.175 cents/lb. and CME March feeder cattle were 0.075 cent higher at 143.25 cents.